Friends don’t let friends have stinky spaces! Citrus Magic Solid Air Fresheners, Sprays and Candles will help rid your space of any unpleasant odors and leave behind a pleasant scent. It’s like magic! There is nothing quite like a citrus scent to brighten your day. My cat can not be trusted near anything--if she deems it does not belong then--- with a mighty swipe of her paw-----the offending object is swept away. No candles in this apartment thank you very much. I wish I could--but-- She also gets very upset if her litter isn't cleaned almost immediately. 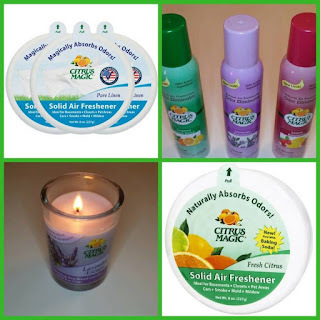 I do try to get solid air fresheners for the bathroom (just in case)!! A solid air freshener also resides on top of my refrigerator (yes, she manages to get up there as well). We all know how cooking smells can linger. The Solid Air Fresheners absorb odors in 350 sq ft areas making them ideal for the car or your RV, laundry rooms, pet areas, closets, bathrooms and even your home office. The sprays are non-aerosol cans and filled with essential citrus oils and fragrance extracts that smell so good. My favorite is the lemon raspberry! The candles are a soy blend that burns for hours leaving a wonderful smell throughout your space as well! 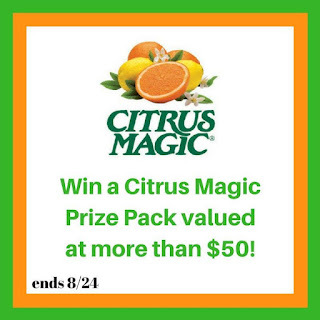 To find out more about Citrus Magic click here. You may not recognize the name Beaumont Products, but there is an excellent chance that you are familiar with at least one of their many brands-Citrus Magic is one of those brands. Now, how about that GIVEAWAY? 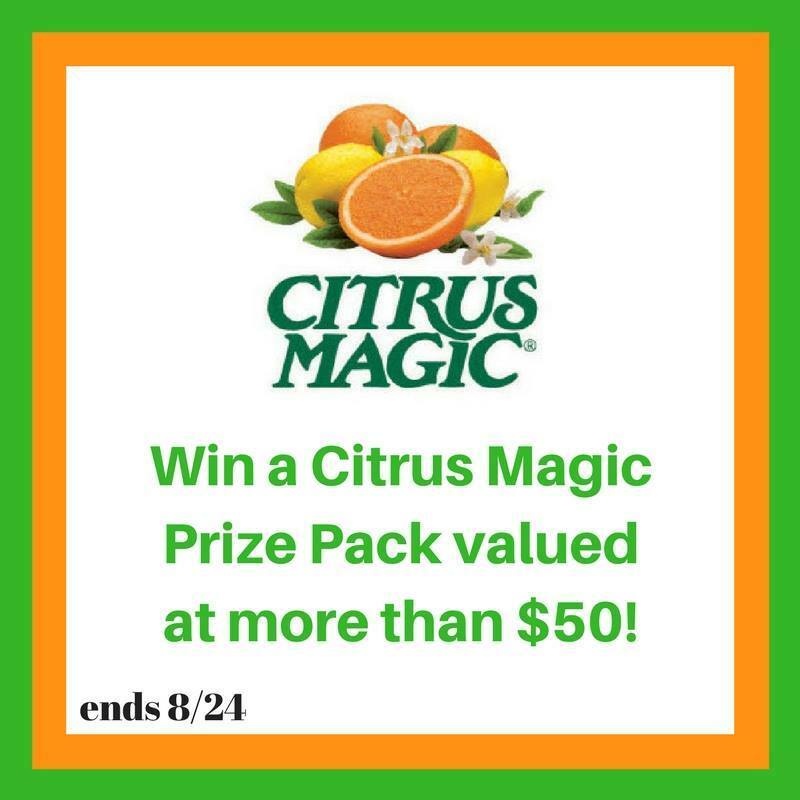 TWO lucky readers who are 18 years of age or older and reside in the US will win a prize pack filled with amazing Citrus Magic products valued at more than $50 each. I’m already jealous of whoever wins! Just enter on the giveaway form below for a chance at being one of the two winners. defintely my basement, with litterboxes, and our laundry room need freshining! I'd have to say the bathroom! I could use some freshening up in my front room where the dogs like to hang out. All the bathrooms could use some freshening up! The bathrooms and kitchen need some freshening up! Any place our stinky shoes hang out... by the stairs, my kids' closets, my closet, the car. OH, I need this in my car. My stanky stanky car. We practically live in it! I would like to freshen up the basement and bathrooms in my home.